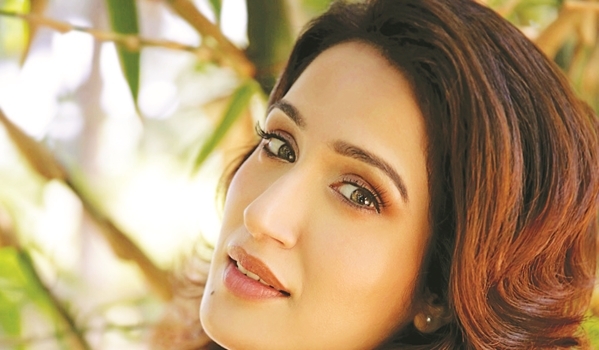 AFTER a remarkable start in Chak De India eight years ago, it seemed like Sagarika Ghatge had disappeared. The actress gets our attention now as she gears up for Irada, directed by Aparna Singh and Nishant Tripathi, in which she will be seen alongside Nasserudin Shah and Arshad Warsi. a�?Sometimes when you get everything on a platter, you dona��t know how to take it. Thata��s exactly what happened with me after Chak De,a�? says Ghatge. Picking interesting characters, the actress who hails from Kolhapur, Maharashtra says, a�?Even in Irada I am a strong independent girl who is trying to stand by what she wants to say.a�? Shooting will commence for this social drama in December. a�?Recently, Chak De India was coming on TV; I guess Aparna Singh was watching it. She called me and said, a�?The attitude your character has in the movie, thata��s the kind of attitude I want for Irada,a��a�? recalls Ghatge. The film will be shot in parts of Bhatinda, Punjab and Chadigarh. Glad to retain her foothold in the industry, the 29 year old tells us that though she was not in the spotlight, she has been busy crossing language barriers and expanding her repertoire. Cast in Rush opposite Emraan Hashmi in 2012, Ghatge opted for a Marathi film, Premachi Goshta, opposite Atul Kulkarni (Hey Ram fame) in 2013 , who was the main reason she wanted to take up the film. a�?I had seen few of his Marathi films like Natarng and I knew I would learn a lot just by acting beside him,a�? she gushes. Then came the Punjabi film Dildariyaan for which she put forth a condition to the director. a�?I asked him to let me dub my own dialogues. I attended a one month workshop where I used to record the script and hear it again and again to get the Punjabi dialect right.a�? Earlier this year she was seen in Khatron Ke Khiladi season 6. After Irada comes her untitled film with Shil Aditya, in which she essays the role of a writer. a�?It has three stories and is about different women and how they are perceived by society,a�? the actress signs off. Irada is slated to release next year.